Last weekend was a blast. I love going back to Houston, especially when the weather is as nice as it was then. Comicpalooza was as big as ever, and the literary track seems to grow every year. Vijay Kale and Tex Thompson did incredible work to put together some of the best panels yet. And if you ever get the opportunity to see Tex moderate, absolutely do--she's a moderator, and her enthusiasm feeds both the panelists and the audience. Also! 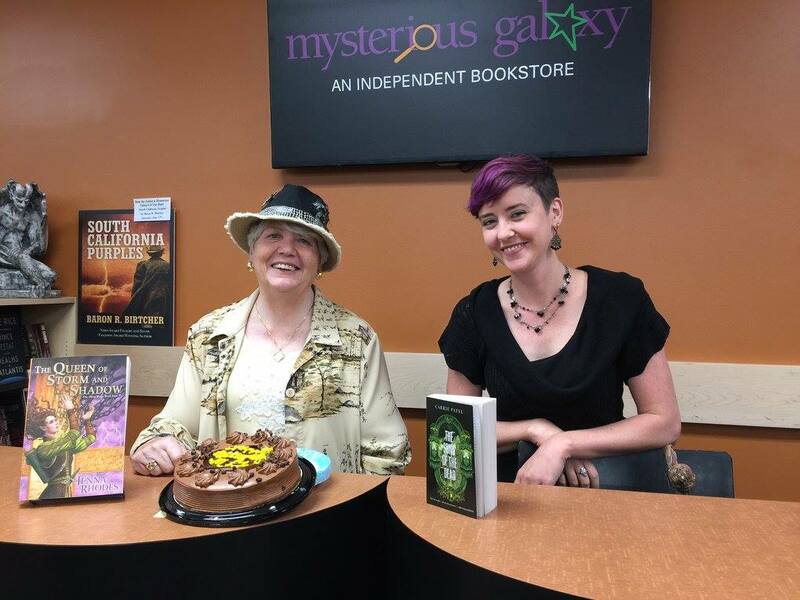 I had the honor and privilege of giving a talk on The Song of the Dead and doing a signing of all three books in the trilogy at Murder by the Book, one of Houston's best independent bookstores and one with a great focus on genre fiction. Meanwhile, in cyberspace, Chuck Wendig hosted me for a quick overview of some of the things I've learned in writing the end of the Recoletta series. It's been a fun, busy week, and the party is coming soon to Borderlands in San Francisco! More on that soon. Last week was a big one, and this one's shaping up to be just as exciting! 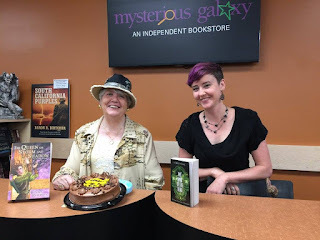 But first, happy birthday to Mysterious Galaxy, a fabulous independent genre bookstore in San Diego. They were kind enough to have Jenna Rhodes and me down on Sunday to talk about the writing process and sign some books. Despite the gloomy weather, we had a grand time. If the rain kept you home, never fear--they've got signed copies in stock! Also, I've gotten to start the week off right with a guest post at John Scalzi's Whatever talking about the Big Idea in The Song of the Dead: stories shape us. Check it out! Stay safe, and have a great weekend, all!